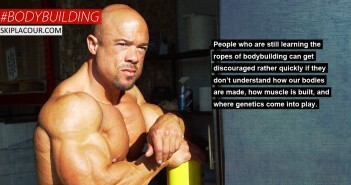 We bodybuilders love to think in extremes, don’t we? It’s ingrained in our identity. We generate power from doing so. A person is either FOR me or AGAINST me. Dedicated or lazy. Right or wrong. Good or bad. Saint or sinner. The situation we’re facing is either heaven or hell. It’s one way OR the other and can’t be both at the same time. In most cases, this mentality serves us well when it comes to building our bodies. It simplifies things. Our choices are limited. The only thing that’s simpler than having just two choices is having just one. It allows us to just put our heads down and work hard. We’re able to block out the distracting variables that make things complicated. No path you take in life will be all good or all bad. Although this black and white thinking usually works well with our dedicated bodybuilding and training lifestyle, it can hurt us when it comes to effective and efficient training in the gym. You get extreme, emotional reactions when you utter the words “heavy” when talking about weight training. Some men view heavy training as the ultimate sign of courage and intensity. To them, you’re either all in or all out. Heavy training is what this lifestyle is all about. Injuries are just a part of the process. Back surgeries and body part replacements later on in life are risks you take when you’re doing something you love. Limping around like an old man in your 50s is something you’ll worry about then. Some men cringe when the word “heavy” is mentioned. They imagine body parts ripping off in the middle of a set. They talk about the dozens and dozens of men they’ve personally witnessed being taken out of the gym on stretchers because they trained too heavily. “Heavy weight” when it comes to training in the gym is not black and white. The law of relativity states that nothing has any value unless it is compared to something else. 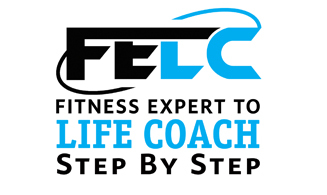 12-week coaching spots are still available. Send me an email or call today if you want to learn more. Heavy does not mean weight that will hurt you. And, heavy weight is needed to train in the most effective and efficient manner. 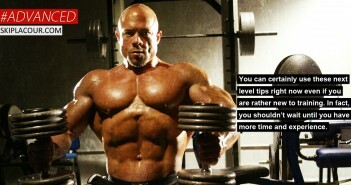 You can spend less time in the gym with the same awesome results or even better results when you train heavily. You can do fewer exercises during your workout and fewer sets. You can even do fewer reps during each set when you train heavily. Remember, no one is telling you exactly what “heavy” is when they’re talking about heavy weight training. No one is telling you exactly how many plates to load up on the bar or which dumbbells to pick. That’s happening in your imagination. You came up with those numbers you’ve inserted. You must find the weight that works best for you. You must decide on what weight is effective and efficient. You must choose weight that won’t rip an arm off. And, at the same time, you must choose weight that doesn’t require workouts that are so long and so frequent that you’re unable to follow through. Nope. That’s an inaccurate black and white, good or bad, and either/or translation. We want physical gains and a higher quality of life outside the gym too. We must learn and execute systems that will give us both. We must allocate our limited resources of willpower, focus, energy, and time properly in order to experience both. “Heavy” weight is an important factor in making this happen. 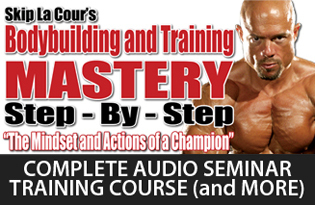 Being your best both inside and outside of the gym through effective and efficient training. That’s what MANformation is all about. This is my effective and efficient systems-filled journey. P.S. 12-week coaching spots are still available. Send me an email or call today if you want to learn more. Skip La Cour is a coach, speaker, author, and entrepreneur. 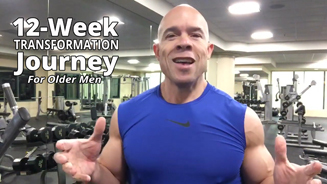 He is the creator of the MANformation Confidence and Leadership personal development program for men and was a six-time national champion drug-free bodybuilder. 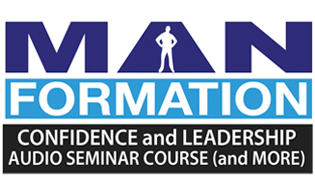 La Cour helps ambitious men understand and execute effective confidence, leadership, and influence skills so that they reach their biggest goals in life with more control, clarity, and focus. Feel free to email Skip at any time at [email protected]skiplacour.com with your questions and comments. Or, call (213)973-8790.